Pre-trial services, a non-custodial alternative to pre-trial detention whereby defendants are monitored in the community, were first introduced in Mexico in 2011. A Mexican non-governmental organisation − the Instituto de Justicia Procesal Penal (IJPP) − was instrumental in establishing the first pre-trial service in the country in the state of Morelos, and has supported their development in ten Mexican states. So far these services have had very promising rates of compliance. In this guest blog for PRI, Philippa Ross, a researcher with the IJPP, says that while pre-trial services are making a positive contribution to addressing high rates of pre-trial detention, more can be done to ensure the proper and proportionate use of bail by the courts. In June 2008, the ambitious Security and Justice Constitutional Reform in Mexico laid the foundations for a gradual transition from an inquisitive to an adversarial criminal justice system. With the presumption of innocence as its cornerstone, the new system contemplates a range of bail measures; judges are no longer limited to imposing either pre-trial detention or a monetary surety. In this context, the Instituto de Justicia Procesal Penal (IJPP) (Institute for Criminal Procedural Justice), has worked for many years promoting the adoption of a pre-trial services model in Mexico. Pre-trial or bail services are administrative units attached to either the executive or judicial branch of government but strictly independent of the public prosecutor’s and legal aid offices. They collect, verify and analyse objective socio-environmental information, such as employment status, family ties and housing stability, which is presented in a report to be used by parties during a bail hearing. If bail is granted, these units then supervise accused persons using an individualised, flexible and minimally intrusive strategy to manage procedural risk, primarily that of abscondment. After the 2008 reform, adversarial criminal procedure legislation, including the decision to create pre-trial services, was the domain of state governments. In 2011, the IJPP succeeded in establishing the first pre-trial services unit in Latin America as part of the juvenile justice system in the state of Morelos. Since then, we have provided technical assistance for the implementation and consolidation of adult pre-trial services in ten Mexican states. Last year, the new uniform National Criminal Procedure Code (CNPP), which has begun to replace state legislation, introduced pre-trial services nationwide. To date, the statistical results of these units are very promising. Since the adult pre-trial services unit opened in Morelos in 2012, operators have conducted 10,688 pre-trial risk assessments. The unit has supervised 1,755 people with a compliance rate of over 90%, which increases to over 97% if we consider solely the question of those accused persons judicially declared to have absconded. Likewise in the state of Puebla, since January 2013 the pre-trial services unit, operating in just one judicial region, has assessed 655 people for pre-trial risk. Of the 320 people that have entered supervision of bail conditions the unit has a 93% compliance rate. More recently the pre-trial services unit in Mexico City commenced operations in January 2015 and to date, has an 87% compliance rate. Our conversations with pre-trial services operators suggest that compliance often depends greatly on an accused’s attitude, positive or negative. Yet we have also noticed that operators, who generally have social work, psychology or law backgrounds, offer a personalised, humanised service that is lacking elsewhere. With strong distrust of the justice system and under-resourced public defenders, pre-trial services operators can become important companions in a complex legal maze. Despite these advances, we have a way to go before we optimise the use of bail measures and ensure pre-trial justice in Mexico. The World Prison Brief documents that at present there are 108,588 people in pre-trial detention in Mexico, representing 42.3% of the total prison population. This statistic has changed little over the past 15 years. Part of this is no doubt due to flaws in the 2008 reform such as the lengthy catalogue of “serious” offences that attract mandatory pre-trial detention. 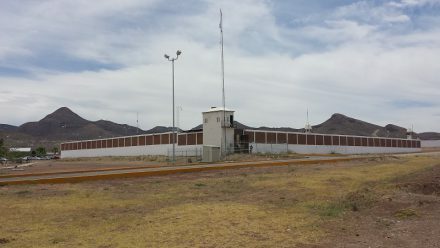 Encouraging the rational use of pre-trial detention is paramount, given that Mexican jails are notorious for chronic overcrowding, inhumane conditions and self-rule. In the field, IJPP researchers have also detected a number of troubling practices. First, the imposition of bail conditions should be reasonable, necessary and proportionate to the procedural risk presented by an individual accused. As such, we should start from the least restrictive measure, namely pre-trial release on promise to appear or recognisance. Not only does the new CNPP not include these options but in many instances, prosecutors seem only concerned to argue for conditions that are not the most restrictive (i.e. pre-trial detention). The defence does little to counter this approach. By way of example, weekly or fortnightly periodic reporting, almost invariably during business hours, is extremely common. Yet rarely is the necessity or proportionality of this condition considered, or the negative impact it might have on an accused that invests time and money, and may miss work or need to organise childcare, in order to comply. Also, whilst the CNPP provides for 13 different bail measures, in practice the same conditions are imposed almost routinely without applying the principles mentioned above. Further, judges commonly impose a significant number of bail conditions on accused persons. Whilst the number in itself is not indicative of bad practice, the concern is when we couple it with a lack of consideration of the particular case at hand. At no point should bail be more onerous than an individual risk requires nor constitute a punishment. In states without pre-trial services units, parties rarely present relevant socio-environmental information to support their arguments and assist judicial decision-making. Instead they rely almost entirely on police reports, which are often incomplete and do not meet standards of objectivity. In states where pre-trial services operate it is still a challenge to ensure that parties request and/or use the pre-trial risk assessment report in all cases. Finally, the potentially discriminatory nature of monetary bail has been well documented. This vestige of the traditional system in Mexico is proving hard to shake. Unfortunately, this amount is often adjusted to the damage allegedly caused by an accused that the system theoretically considers innocent until proven guilty. These practices combined make it harder for pre-trial services to supervise accused persons on bail. We have documented many cases where the conditions imposed are almost impossible to comply with or supervise. For example, in domestic violence cases often the judge will order the accused not speak to or go near the complainant despite the fact that they continue to live together. Or in theft matters, accused have been prohibited from going near any “Oxxo” convenience store; in Mexico there are around 13,000 “Oxxos”. We have also seen a number of accused go into pre-trial detention for failing to pay monetary bail set well beyond individual risk and means. Therefore, whilst the initial experience of pre-trial services has been very positive, more can be done. At a minimum, improved legal education in line with Inter-American human rights standards, better advocacy skills for prosecutors and defence lawyers, and thorough preparation for bail hearings would optimise this service and protect the presumption of innocence. Associate researcher at the Instituto de Justicia Procesal Penal in Mexico City. The IJPP has worked for over a decade promoting respect for human rights within the Mexican criminal justice system. Philippa is an Australian lawyer and holds a Master of Laws from the Australian National University. She has worked in human rights organisations in Mexico and Chile, as well as within the criminal justice system in Victoria, Australia. Photo: Prison, Chihuahua state, Mexico, home to both pre-trial and convicted prisoners. Associate researcher at the Instituto de Justicia Procesal Penal in Mexico City.